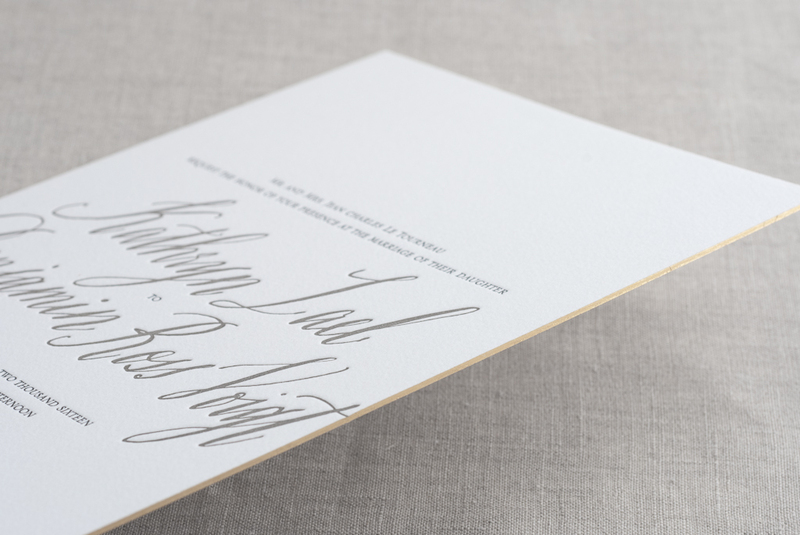 Calligraphy and Design created for this Modern Chateau invitation. 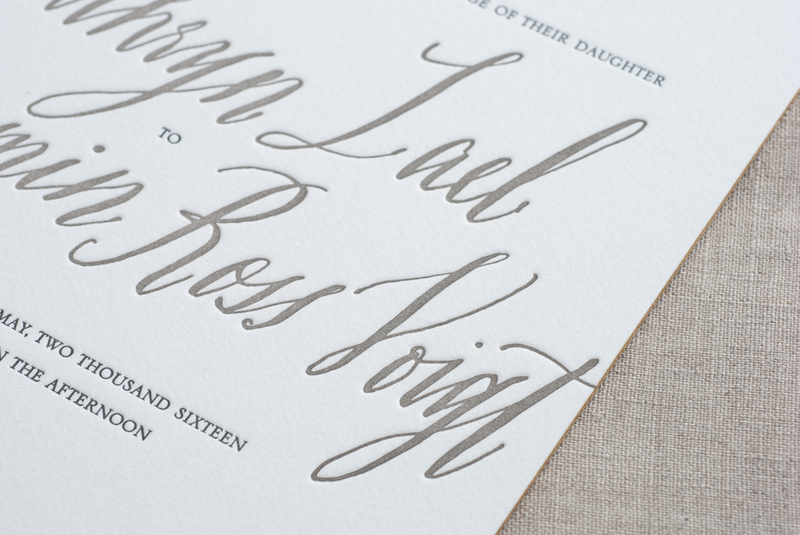 Letterpress printed invitation suite sold exclusively at Bella Figura. 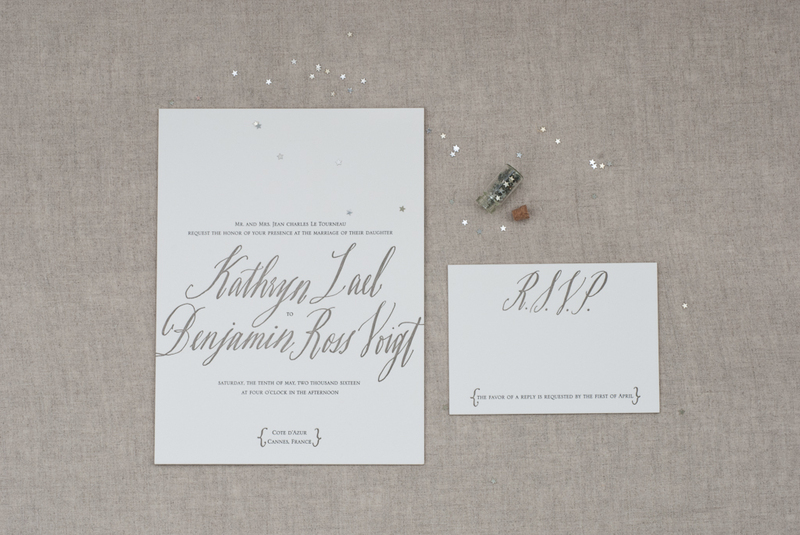 Purchase your customized Modern Chateau wedding invitation suite here.